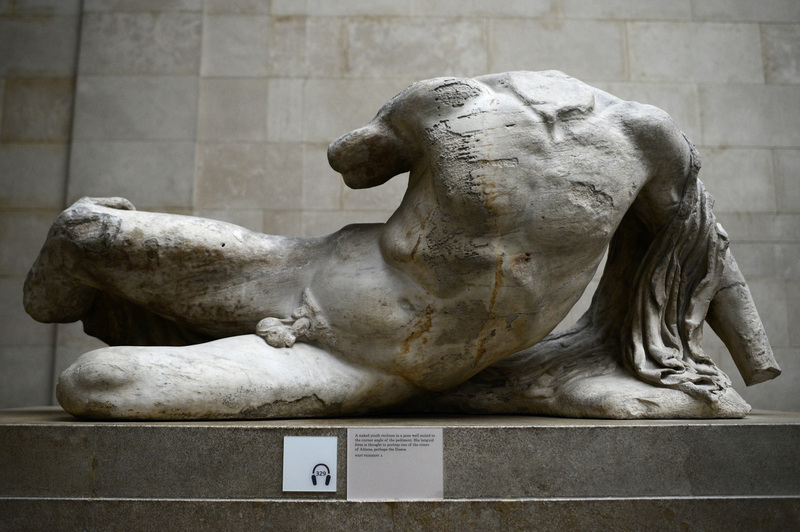 For the first time since the sculptures were removed from the Parthenon under the orders of Lord Elgin some 200 years ago, the British Museum has announced it is loaning a Parthenon sculpture. Specifically the Ilissos statue to the State Hermitage Museum in St. Petersburg. This very short loan, which will last only until January 18th has caused a great deal of outrage and criticism amongst those who think the sculptures should be ultimately reunited in Athens. And there is I think part of the problem for the Greeks. They have made compromise exceedingly difficult. I have argued before that justice requires the sculptures be reunited in Athens. But ownership and property law has limits that cannot resolve this dispute. So much time has passed between Elgin’s actions, and the actions of Ottoman officials, that definitively litigating those actions is difficult. Rather that criticizing this loan, perhaps Greeks, and those who think the sculptures belong in Athens should see this as a loosening of the British Museums’s grips on these sculptures, and may be a precedent upon which future loans could ultimately achieve the return of these objects to Athens, if not permanently, then at least on a temporary basis.